As part of a new development at Century Walk in Cardiff, a new riverwalk was constructed in conjunction with Westbury Homes. 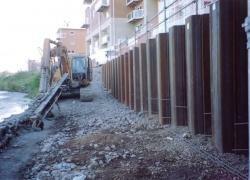 The footpath on a 32m section of riverbank, previously retained with gabion baskets, needed to be widened and raised. 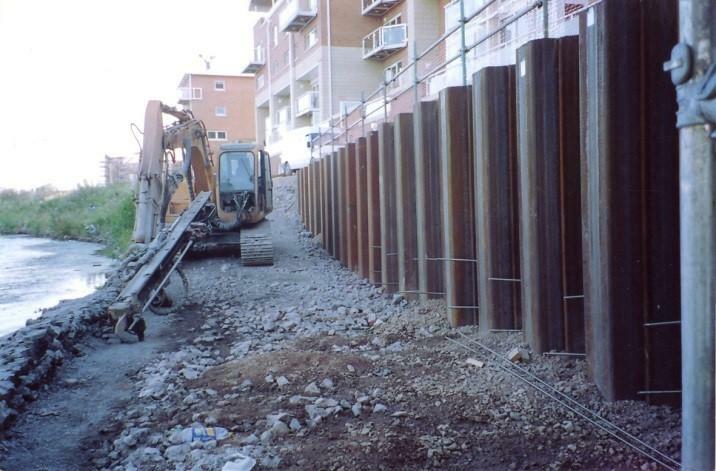 New sheet piling, installed in front of the gabions, had to be effectively secured using an anchoring system with a design life of 120years and the new walkway brought up to standard for adoption by Cardiff City Council. 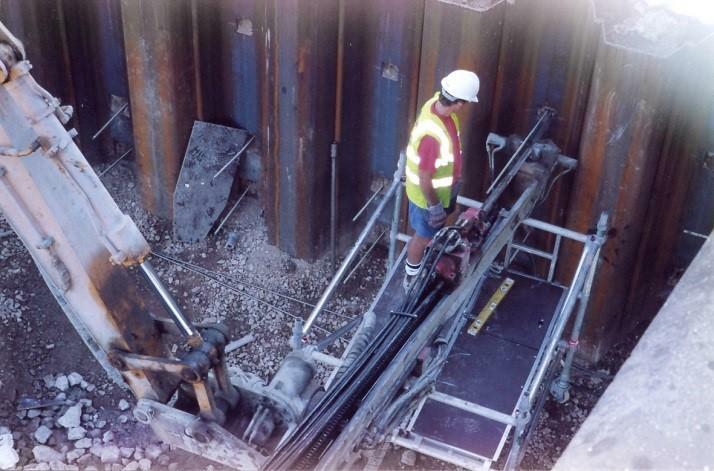 Project engineers, Veryards, specified our well proven mechanical ground anchors because they could be supplied in complete Grade 316 stainless steel assemblies that would meet the required life expectancy in the sulphate contaminated ground. 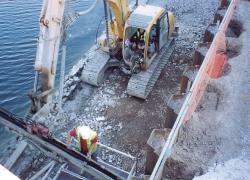 In addition, they were able to be installed in the confined working area and would achieve immediate proof loading. 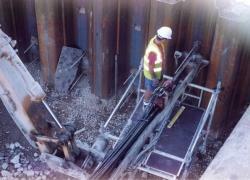 Operating in restricted space on a narrow strip of land at the water’s edge, WT Specialist Contracts used a special drill rig to install a total of 86 mechanical ground anchors at three different levels. The 86 mechanical ground anchors and were driven 6m into the gravel and cobble substrate and proof tested to the design load. 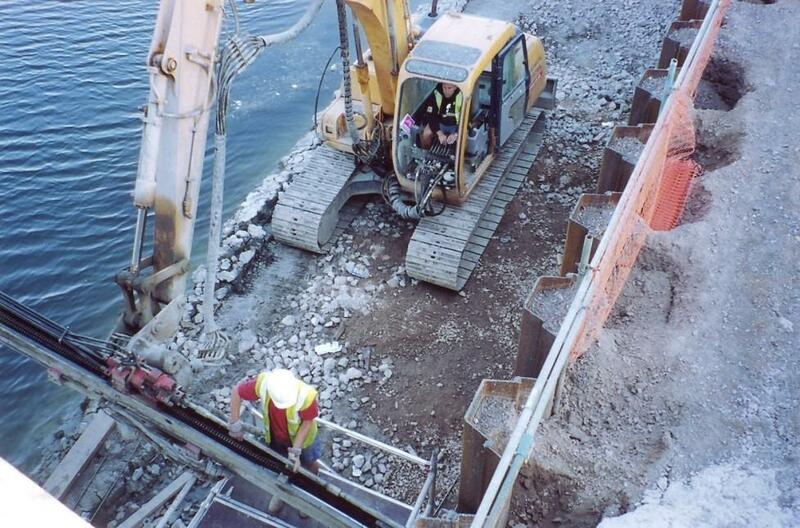 They were then released to the required working load and secured with a stainless steel load plate and nut to fully secure the sheet piling for long term retention of the river bank.